The COP21 Paris Agreement was a breakthrough for migration as it specifically referred to migration and human mobility; respect and promotion of the rights of migrants; and provided a mandate to establish a Task Force on Displacement. This year’s COP22 now underway in Marrakesh, Morocco (7-18/11) is just as important, as it seeks to confirm States’ commitments, cooperation and dynamic engagement. 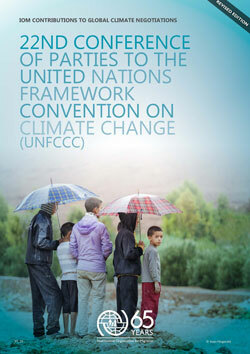 ‎COP22 is also an important event for future action on climate migration. A number of institutions serving the Convention and the Paris Agreement have advanced work on their respective mandates in preparation for COP22. To support the implementation of the Paris Agreement, issues on Nationally Determined Contributions covering both mitigation and adaptation have advanced and will continue to be explored at COP22. To contribute to this work, IOM hosted the Technical Meeting on Migration, Displacement and Human Mobility in Morocco in July to support the work of ExCom WIM and responded to the call on sharing existing knowledge and information on human mobility and climate change. Numerous events at COP22 are devoted to various facets of human mobility in the context of climate change. Find out more here. The COP22 underway this week in Morocco is the COP of action, innovation and sharing of solutions. IOM is promoting the dissemination of knowledge on migration, environment and climate change and of best practices to address the challenges associated with climate migration. 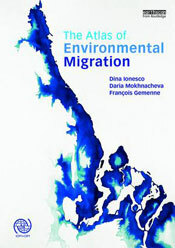 Ahead of COP22, IOM and Sciences Po (The Paris Institute of Political Studies) this month released the English edition of the Atlas of Environmental Migration, published by Routledge. The Atlas is a flagship resource presenting the state of knowledge on migration, environment and climate change, associated challenges and opportunities, governance mechanisms, and practices. It is the first illustrated publication on this topic and contains over 100 informative maps, infographics and case studies, produced in collaboration with over 150 experts, cartographers and graphic designers. The publication is a collaboration between IOM, Sciences Po and a wide range of specialized agencies, universities and experts, and will serve as an important reference book for governments, decision-makers, practitioners, scholars and the wider public. The French version of the Atlas was published earlier this year by Presses de Sciences Po and was presented on 3 November at the Hugo Conference in Liège, which marked the creation of the new Hugo Observatory and the entry into force of the Paris Agreement on 4 November. German, Spanish and Japanese versions will be published shortly. Find out how you can get the Atlas in English here. The New York Declaration, adopted on the 19th of September 2016 during the 71st session of the UN General Assembly, clearly acknowledges the importance of the migration, environment and climate change nexus. It recognizes the historical and multi-causal dimensions of environmental and climate migration and provides a balanced understanding of the nuances between environmental and climate change-related processes. In the desert of Guajira, the northernmost part of Colombia, problems linked to severe water scarcity have been growing for half a century, constituting the main trigger for migration in the region. More than 400 families living in this area suffer from drought, its consequences on the availability of natural resources and its impact on health. Forced to migrate to Venezuela to ensure their survival, Wayuu communities always return home due to their commitment to their ancestral heritage. 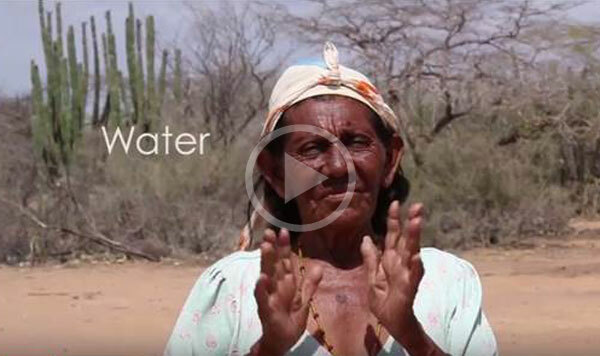 The film is an IOM Colombia production funded by the IOM Development Fund (IDF). 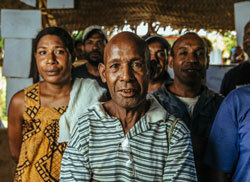 Read IAAM stories about climate change here. IOM’s Contribution to COP22. Find out more here. 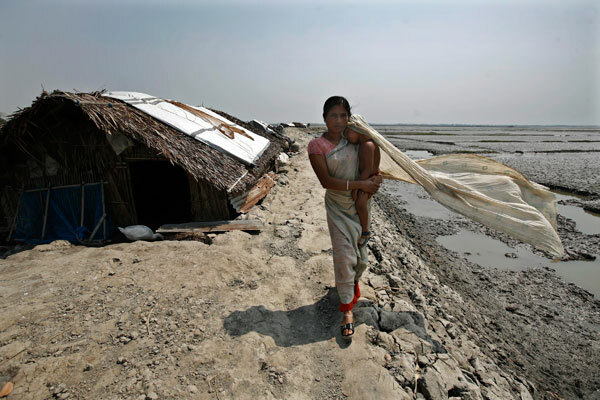 Defining Climate Migrants – Beyond Semantics. 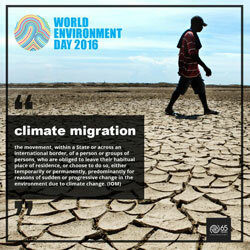 Who are climate migrants? 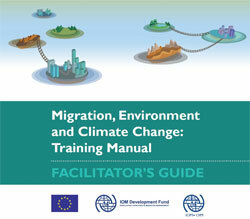 What is climate migration? Find the answers here. 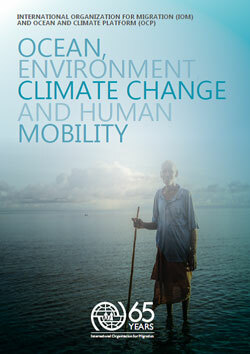 Ocean, Environment, Climate Change and Human Mobility. This publication by IOM and the Ocean and Climate Platform (OCP) brings visibility to the impacts of climate change on the ocean and marine ecosystems that profoundly affect human livelihoods and mobility. Download the publication here. MECC Training Manual. Find out more here. “For me, this is my country, this is for my future, for my children’s future and for my grandchildren’s future to make our democracy more vibrant, more inclusive, more accessible and transparent.” – Ilhan Omar, the first Somali-American legislator in the Minnesota House. Read more here. Voice of America reported that IOM is working with Libyan authorities to improve living conditions at the Gharyan Al Hamra immigration detention center, following the death of several migrants. Sueddeutsche Zeitung, FAZ, Tagesschau.de, ZDF heute.de, Deutschlandfunk, Deutsche Welle, Zeit Online reported comments by the German Interior Minister suggesting that migrant boats intercepted in the Mediterranean should be turned back. Humanosphere reported that IOM is urging governments to recognize gender as a factor in migrant returns, as growing numbers of vulnerable women from Central America’s ‘Northern Triangle’ are deported from the US and Mexico. Thomson Reuters reported that nearly 3,000 people in war-torn South Sudan have contracted cholera since July, according to the World Health Organization. Xinhua reported that IOM DG William Lacy Swing has commended efforts by Belarus to receive over 160,000 Ukrainians displaced by the ongoing conflict in southeast Ukraine. National Geographic featured the work of Syrian refugee children taking part in the “Exile Voices” project, which allows them to share their experiences of camp life through photography. For COP22 and other climate migration related updates, follow IOM Migration, Environment and Climate Change (MECC) on Twitter at @IOM_MECC.